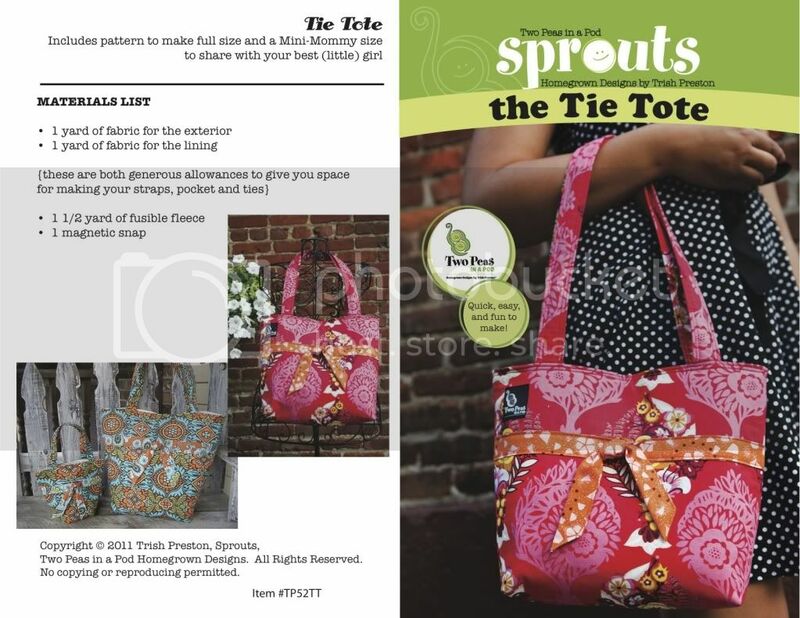 I think you may have already met my newest girl,the Tie Tote. I have 4 new patterns that will be shipping before the end of the year and this is sneaky peek number 1. This sweet little bag is also the subject of my very first online sewing class. Sometimes its just hard to get away and attend a class and this is the perfect solution. Come sew with me - at your own pace - in your jammies - whenever you want. Through 3 videos, I will guide you through every step to make the Tie Tote. It's fun, I promise. And new sewers, YOU CAN DO THIS! I promise you - you will build confidence with this bag! I will use random.org to choose a winner. The giveaway will be open to all, US and International, and will close at midnight EST on October 29th, 2011. How to enter - Share a comment about some of the things you have on your handmade holiday gift giving list. I'd love to know what you are crafting up! Need some ideas, check out a few I have HERE.